love the current home shirt. Btw bro, is that Pennant shirt referring to Jermaine Pennant or is there any other Pennant in their youth team. I don't remember seeing him in that shirt did he...? he did bro, he did..
hahaa...thanks for the clarification bro. anyway, up Curator...no L/S blank PI shirts instead...? No way. I only deal in genuine match supplied shirts from good contacts within the club, instead of any plain player stocks self-addable with whatever players / numbers. Here's my four shirts just got today. Black Kewell and red Nemeth are for my collection. Red Kewell and Red Kelly belong to my friendsters. oh my!!! that is a good catch! if only you had contacts to your rival's kitman. If I see my rival's kitman, I'd rather shoot him down. poor albert...hes such a nice guy..met him before..
well done, a nice catch indeed. soon would be getting the grey away kits? Expecting for arrival on Wednesday. 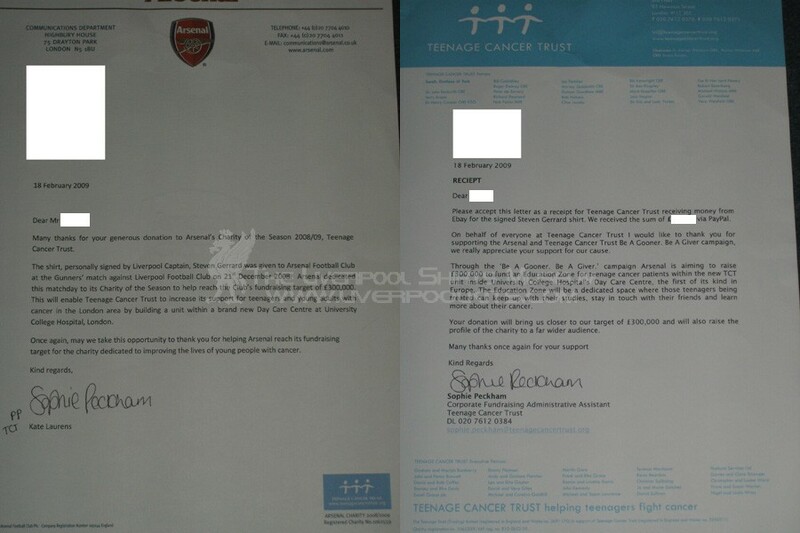 Our skipper's spare shirt donated to charirty in the away match to Gunners. 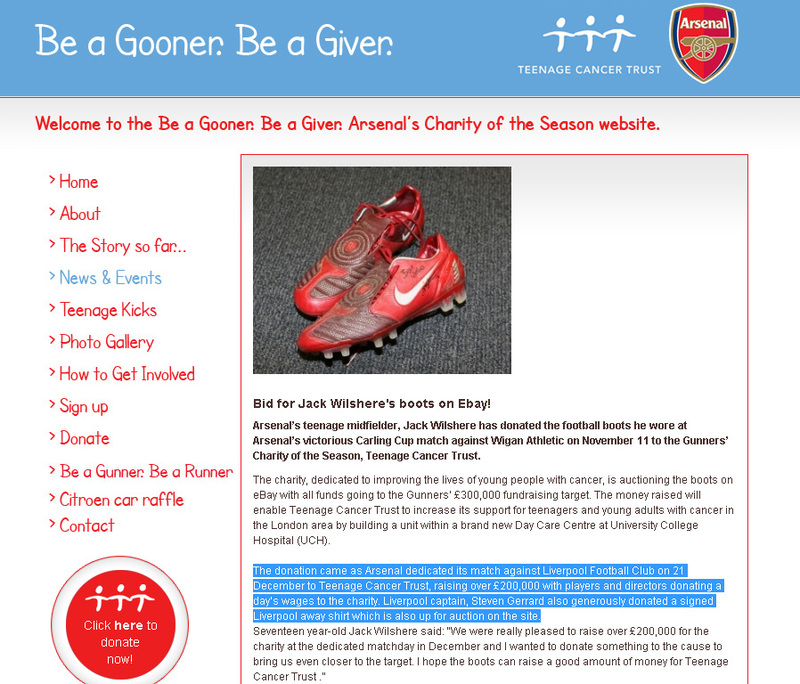 Also mentioned in the Teenage Cancer Trust Charity's website....they have a close relationship with Gunners. wonderfull kit!! with his signatures on it as well. btw i was just wondering that how come kitman prepare l/s kit for gerrard as since year 2001 , he had not worn l/s kit anymore. Now that is a fantastic looking Gerrard shirt from a known big game plus a good cause! Gerrard used to wear long-sleeves because he was pretty skinny and there was apparently an article in which he said he wore long-sleeves to look bulk-ier and more intimidating to opponents. The kitman stil prepares a set of 2 short and 2 long sleeve shirts for any given player in an event the players decide to wear whichever on the actual match day itself. Take for example Kewell, he usually prefers L/S as well. 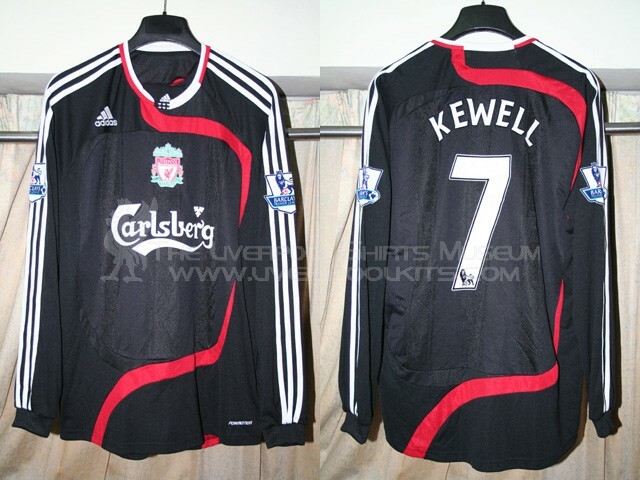 And, Carra used to only wear L/S until last season. If you do a quick google, very unlikely you will find a picture of Carragher in long-sleeve in season 2008-09.
thanks for the information. does that means all players were prepared l/s and s/s kit as well? from what i know, for example, KUYT doesnt wear l/s kit, therefore kitman would just prepare 2 set of s/s is that right? thats y i prefer l/s shirt to wear. im tall but too skinny. Regardless of individual player's preferences, the kitman has the duty to print up and hang on 2 L/S and 2 S/S shirts for each player. Moreover, the kitman always carry a big bulk of match shirts with him, regardless that player was named as subs or starting line up. My Kelly L/S EPL #34 is a good example here. He only played ONCE in season 2008-09 and it's a CL game. But that doesn't mean that the club never prepares an EPL shirt for him. Once he was promoted from youths / reserves into first squad with a regular number, the kitman gets to work and prepare match shirts for that player. 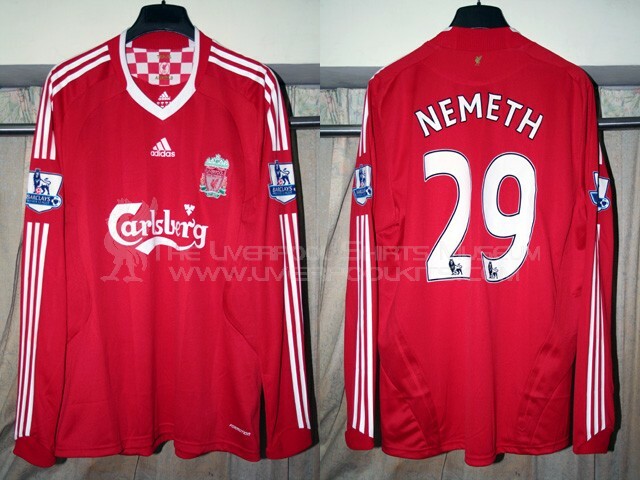 If in case he NEVER has a single appearance in the whole season, that shirt was stored until the kit retires. Hence this L/S #34 Kelly. Hopefully could see him more frequently next season at least in the match day squad with the exit of the legend big Fin, Hyypia. Mascherano rarely wear LS for Pool too, same goes for Alonso. p.s. thanks pyro. sorry i was blur ..
is all the new arrived kits all yours? wonderful, its nice to see plessis kits u have there. nice lad which i remember played agnst chelsea in fa cup if not mistaken. Well, I only got three shirts from the recent parcels arrival. All the others shown are ordered on behalf of my supporters fans group. 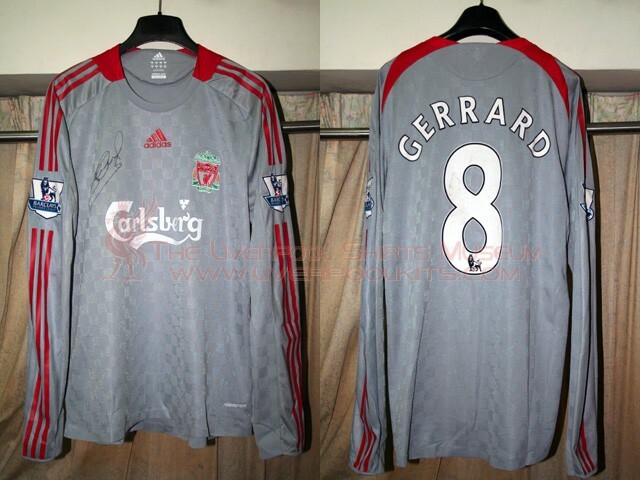 oh my Gerrard signed jersey!!! Excellent shirt from an excellent game!